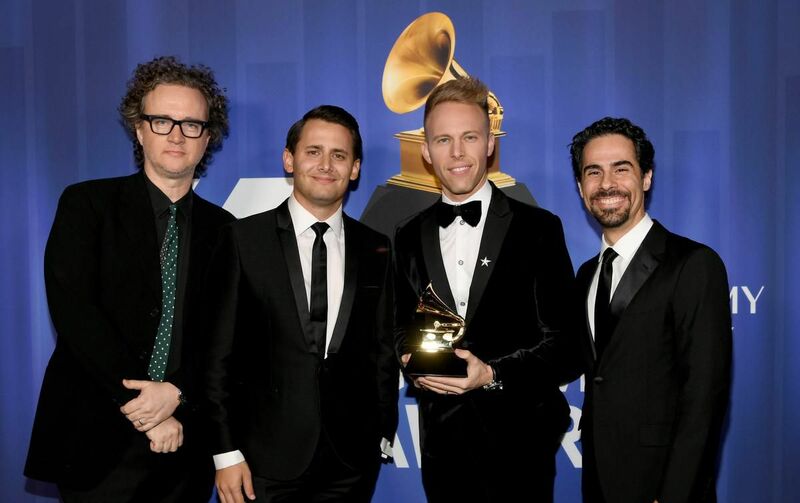 Producer Greg Wells has picked up his first Grammy win for work on "The Greatest Showman" soundtrack. The Peterborough, Ont.-raised musician was part of a team that shaped the selection of songs featured in the Hugh Jackson-led Hollywood musical. Wells was among the Canadians who won a Grammy in a pre-telecast ceremony hosted by Shaggy and streamed live on the Grammys website. Willo Perron, who is from Montreal, picked up the best recording package Grammy Award for his work on singer St. Vincent's album "Masseduction." Some of the Canadians to keep an eye on this year include Toronto rapper Drake, who racked up seven nominations; Shawn Mendes, who will be performing and hoping for a song of the year or best pop vocal album win; and Toronto-raised producer Matthew Samuels (Boi-1da), who has been nominated 14 times before, but is still hoping that one of tonight’s six nominations could garner him his first win. More Canadians to watch can be found here!